The contour algorithm in QGIS doesn't create all of the contour lines. 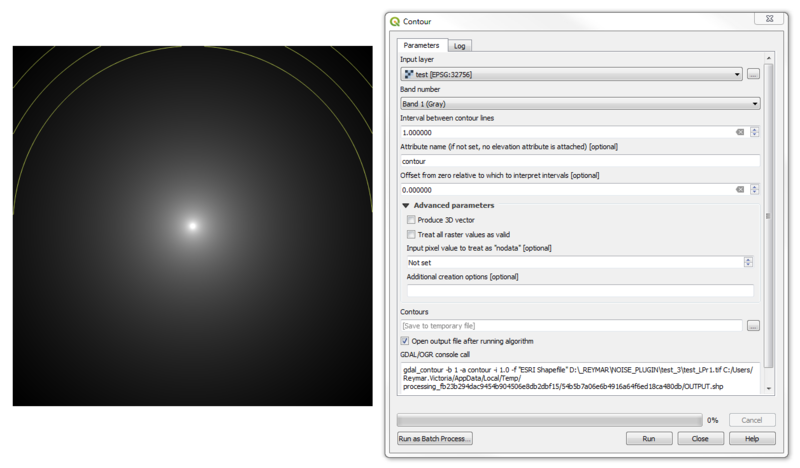 I've attached a screenshot of my raster layer below and the parameters I used. The raster ranges from 40-90 in value, spreading out from the center. 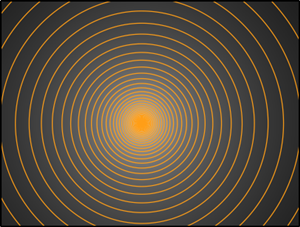 So my expected output is a series of concentric circles. Edit: The lines in the image is the output when I run the process. Anyway because you did not set the nodata value through the user interface the gdal_contour starts to create a contour for interval [90,inf] and fails. I do not know why it fails because "inf" should be understood by GDAL as we will see later. But it seems also to be impossible to set the nodata value into either "inf" or to "3.4028234663852886e+38" through the user interface because QGIS is changing the input in both cases automatically into number "999999999.0". What does work is to capture the gdal_contour command, edit it is run it from the command line. For GDAL 2.4.0dev "inf" is the right way to give the source nodata. I had a try also with the nodata value reported by gdalinfo 3.4028234663852886e+38 but GDAL did not understand that it means the same as inf and it started to create contours for each meter which made the memory usage to skyrocket and finally Windows crashed with blue screen. As a conclusion you made a mistake when you did not give the nodata value and QGIS has a bug because it is impossible to give "inf" as a nodata value. There may also be an issue in gdal_contour because it does not consider numeric 3.4028234663852886e+38 as infinite float32 value. Not the answer you're looking for? Browse other questions tagged qgis raster contour or ask your own question.